Future Apple Watch models will reportedly include support for glucose monitoring, as well as "smart watch bands" that should expand features without requiring people to buy an entirely new device. The glucose technology will likely be non-invasive, BGR suggested on Monday, citing an anonymous source. 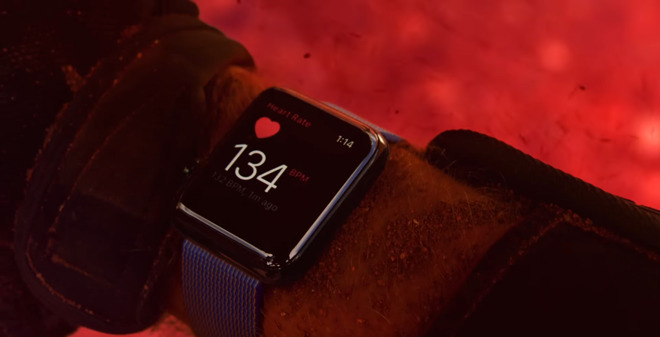 Glucose levels are typically monitored by collecting blood, but that would be impractical on a wrist-worn device, and previous reports have indicated that Apple is working on non-invasive methods. Glucose monitoring could potentially be built into a smart band, BGR speculated, allowing Apple to get U.S. Food and Drug Administration approval without exposing new Watch designs. Other hypothetical bands might add options like extra battery life or even a camera. The source added that Apple has "identified the right part of the body," and that "there's so much more they can and intend to do with the Watch." The company has allegedly hired some 200 PhDs in the past year, hoping to improve the Watch's health functions. Apple has been keen to market the Apple Watch Series 2 as a fitness device, since it's now fully waterproof and supports GPS for distance-based activities like running. Its health tracking can only operate off of motion and heart rate, however. The company is expected to launch a "Series 3" Watch later this year. Few other features have been rumored, though others might include sleep tracking or even LTE support that was once rumored for the Series 2.